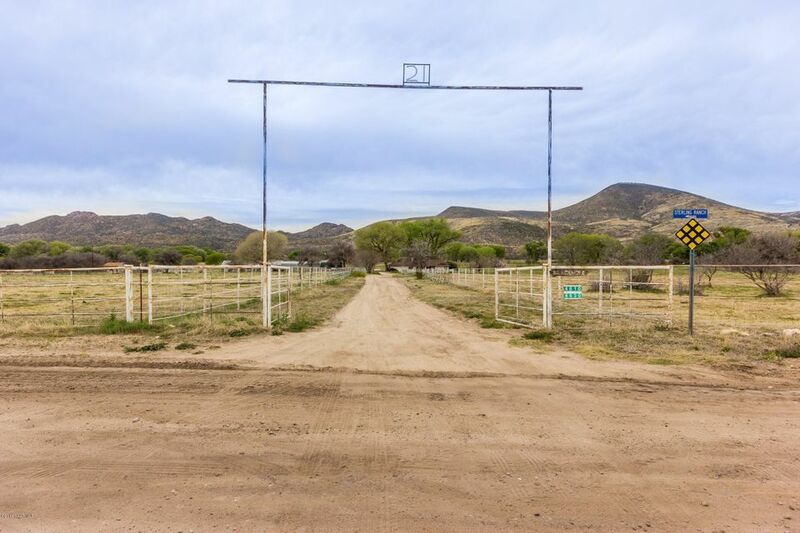 All None homes currently listed for sale in Dewey-humboldt as of 04/23/2019 are shown below. You can change the search criteria at any time by pressing the 'Change Search' button below. 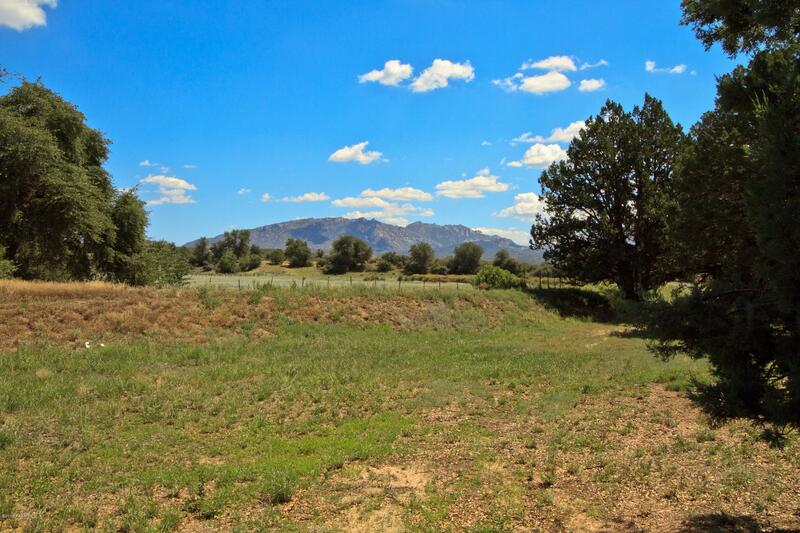 "Arizona history is full of stories that prove the necessity, scarcity and value of water. Skull Valley sits in a pristine valley 20 miles west of Prescott in the Bill Williams Basin and watershed, outside of any existing Active Management Area. 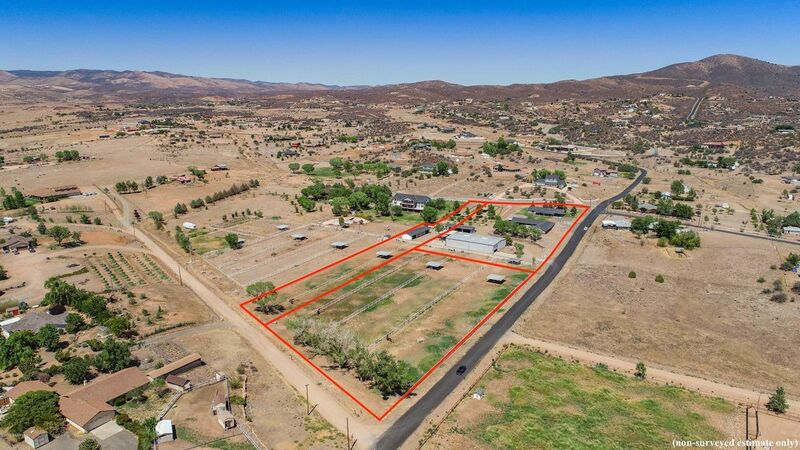 This region is known for strong and abundant groundwater and this property has been historically irrigated from 2 high-producing wells using ground-set and wheel line sprinkler systems. 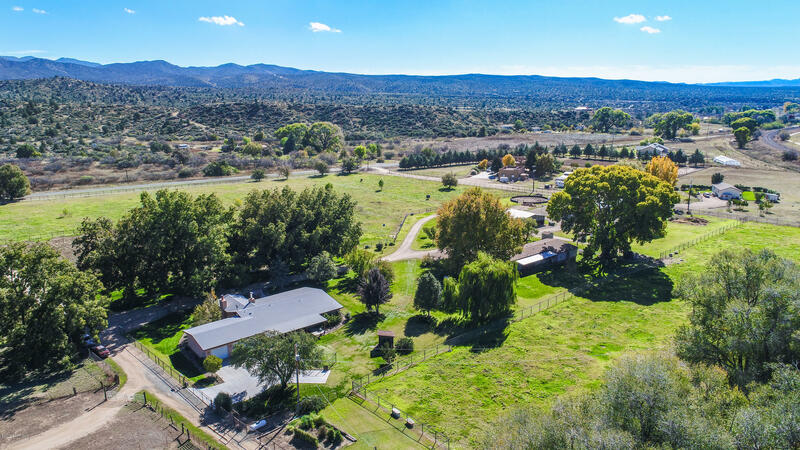 Improvements include a 3,489 sf house, guest house, 2 shops and a liv"
"Irrigated pastures welcome you to this amazing property. 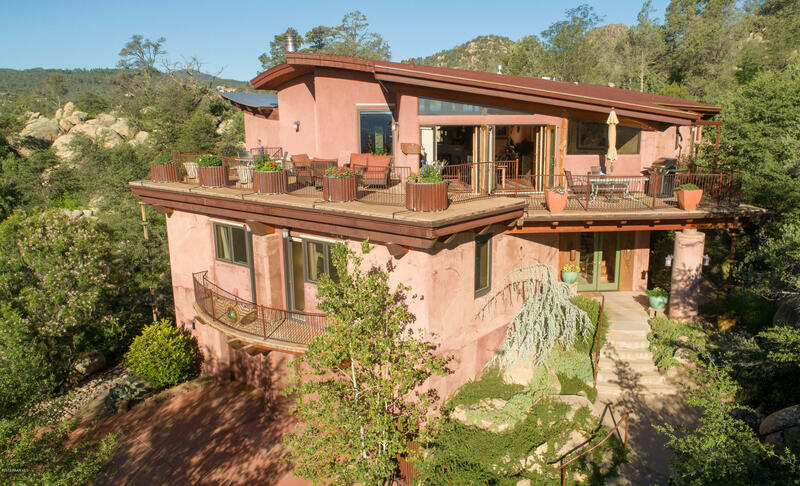 The Main House has Three Bedrooms, Three Baths with an In-Law set up and Extended 3 Car Garage. 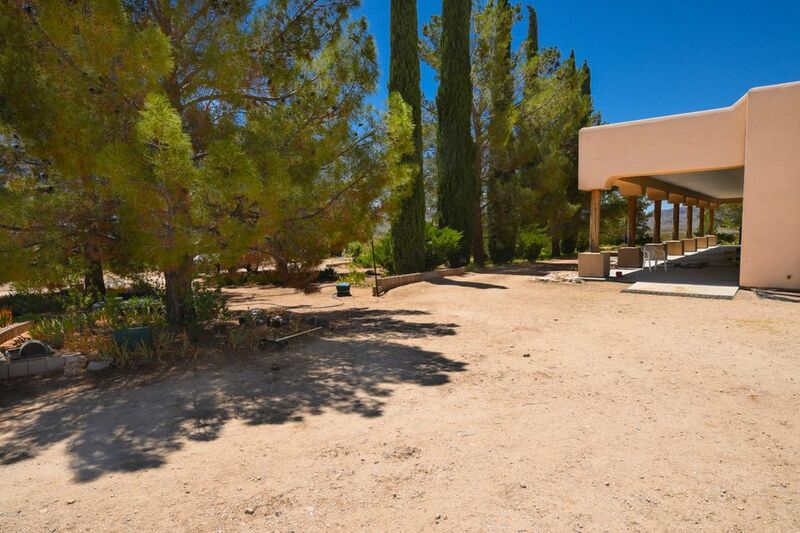 The home was completely remodeled in 2012 with Upgraded, Custom Quality Features. 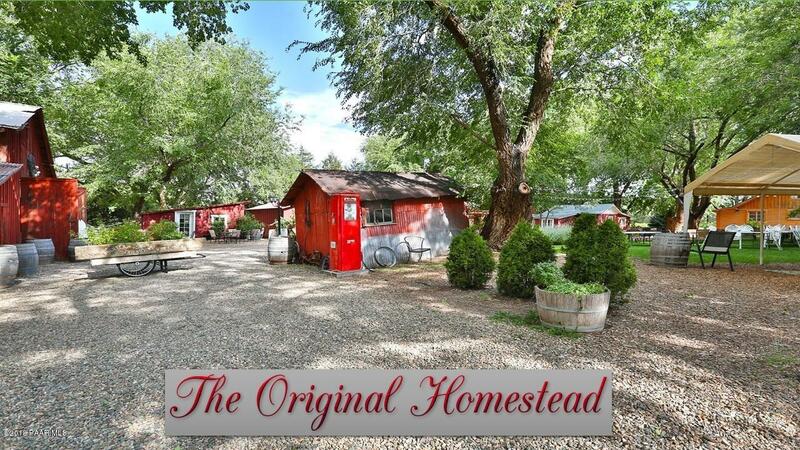 The Guest House is equipped with 2 bedrooms, 2 baths and 2 Car Garage with an attached storage area. 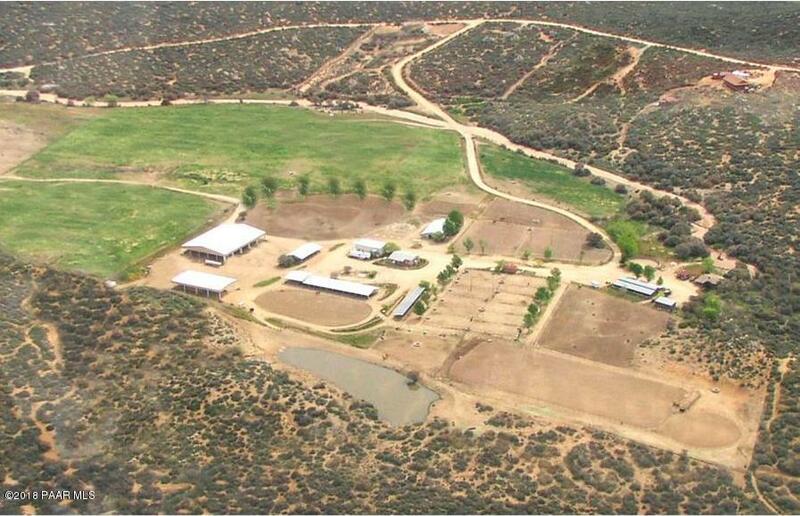 The horses will enjoy the Six Stall Barn with Over-sized Stalls and large Tack room and Workshop. 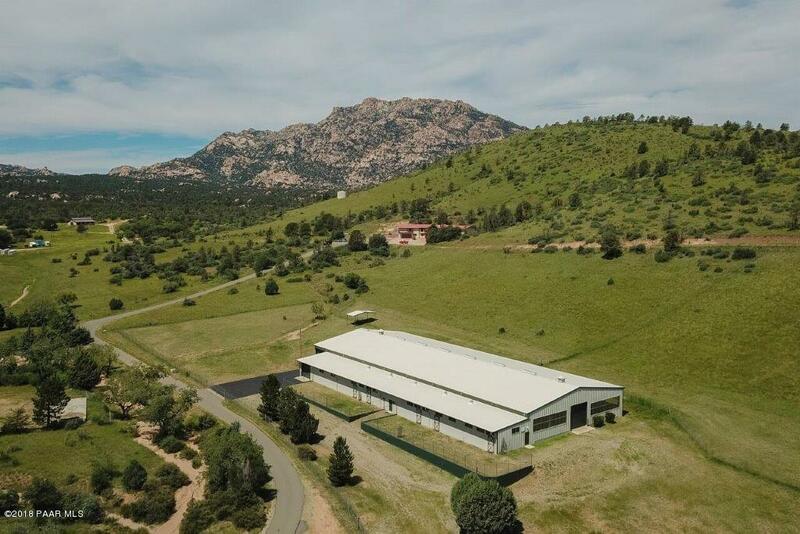 There is an additional 30' x 88' Barn with 4 Stalls, large Hay Sto"
"A custom designed home with panoramic views from Granite Mountain to Mingus Mountains & showcasing artistic sunrises & ends with painterly sunsets that can be enjoyed while relaxing around a gas fire pit. 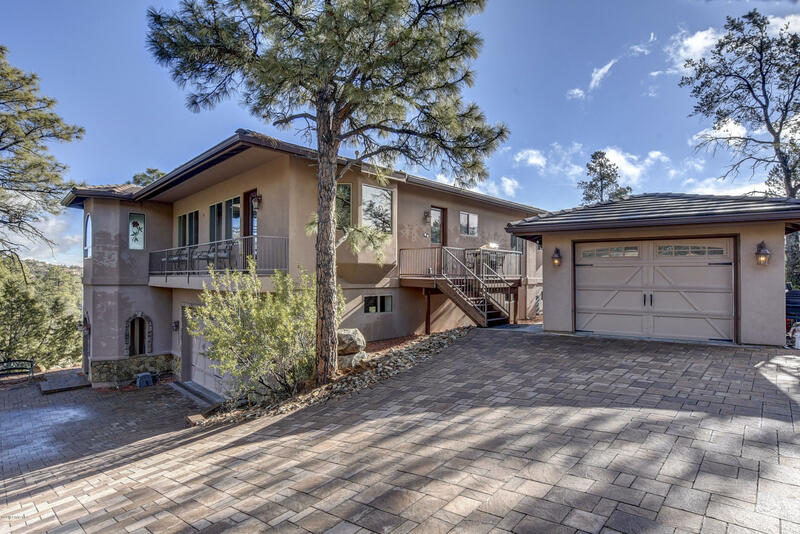 Set back from street at end of cul de sac providing privacy, tranquility in park-like setting with nearly 30 trees, sits a custom-built, single-story home featuring a gourmet kitchen with Viking and Sub-Zero products, including 2 dishwashers, 2-temp controlled wine coolers. 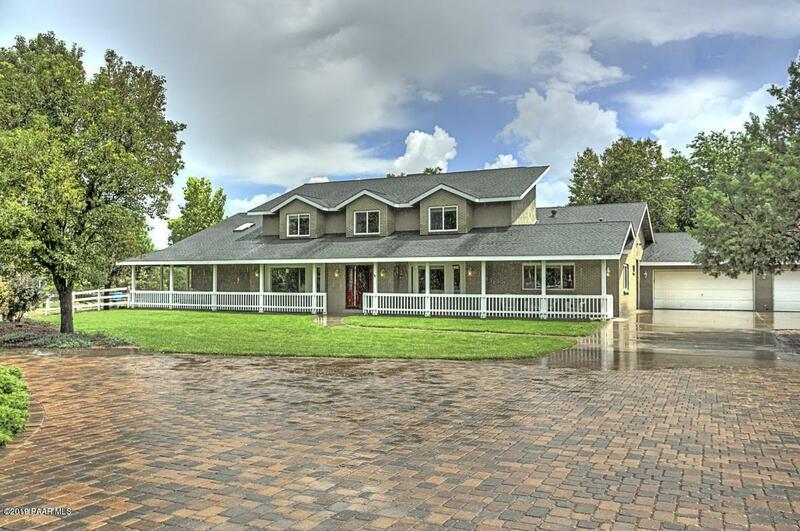 Elegant dark wood fl"
"Rustic mountain retreat in the luxury gated Hassayampa community. 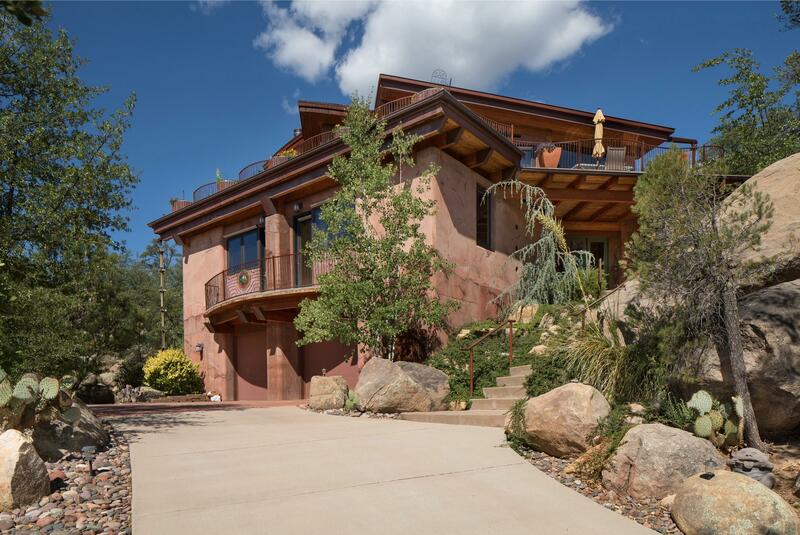 Only minutes from Historic downtown Prescott, this one-of-a kind home boasts incredible views & natural landscaping. 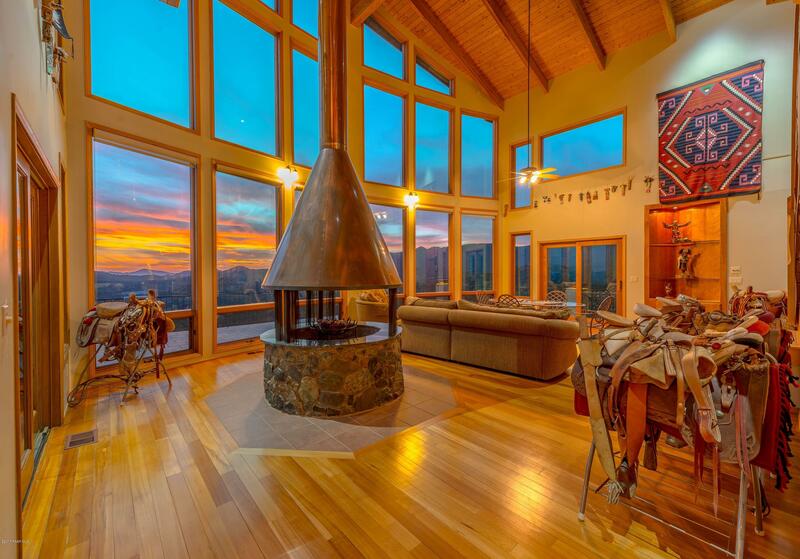 Unique home was built w/flat logs allowing the freedom to decorate that most log homes w/rounded walls don't. 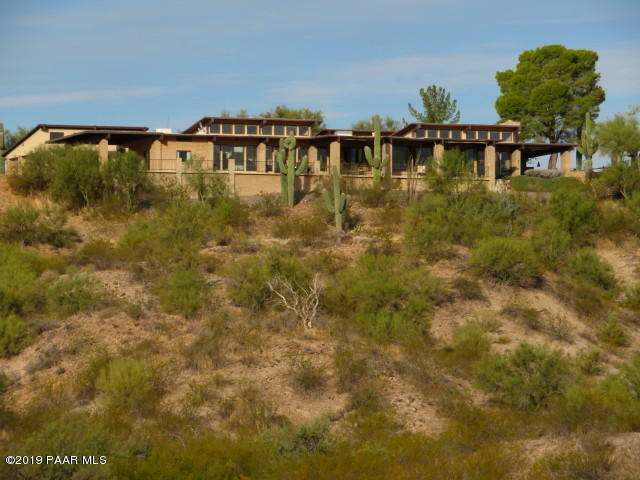 Built in 2004 by Haley Constr & custom designed by architect/owner, it is spaciously situated on over half an acre. Walking distance to the Club House. 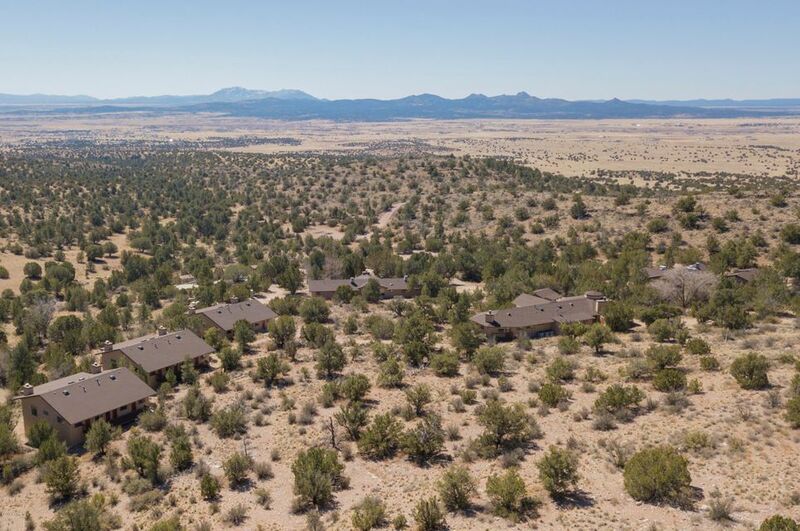 Views of the SF peaks, Thumb Butte, & surrounding ar"
"Elegant home with guest house in a spectacular park-like setting in the trees. 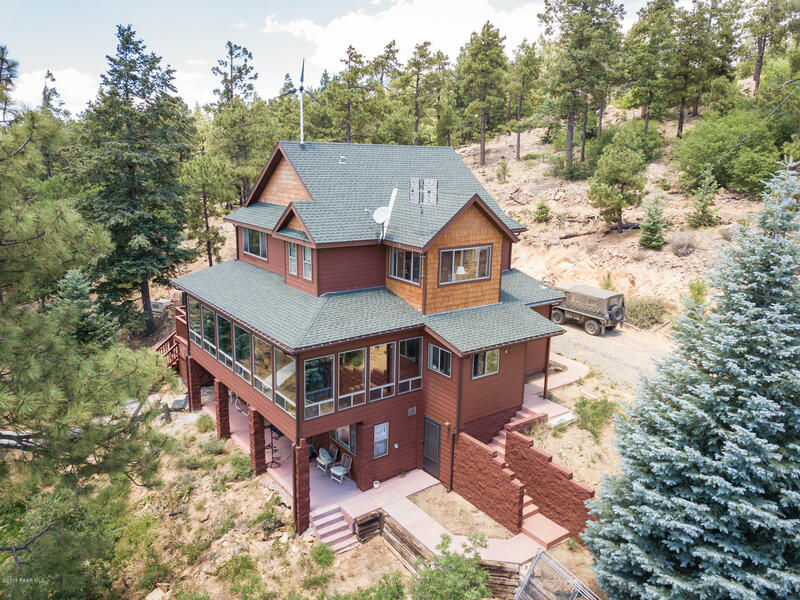 Located within minutes of Downtown Prescott and a short walk to Thumb Butte, this home features a large kitchen with spectacular views of Thumb Butte. 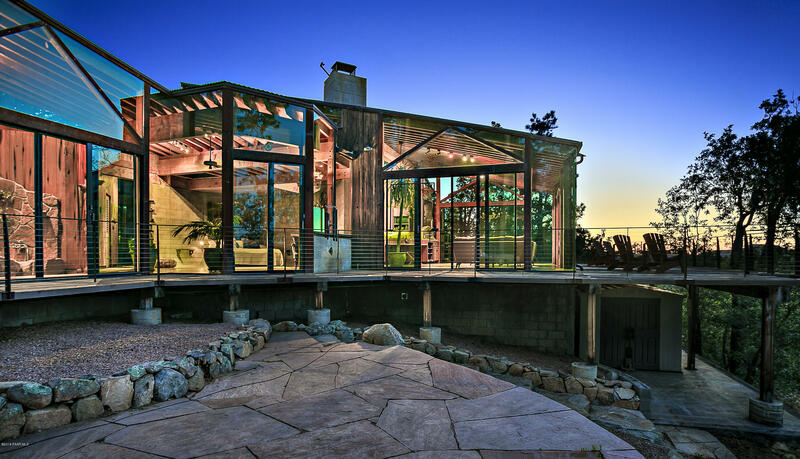 Perfect home for a car collector. The floor plan has been well thought out and is ADA accessible. 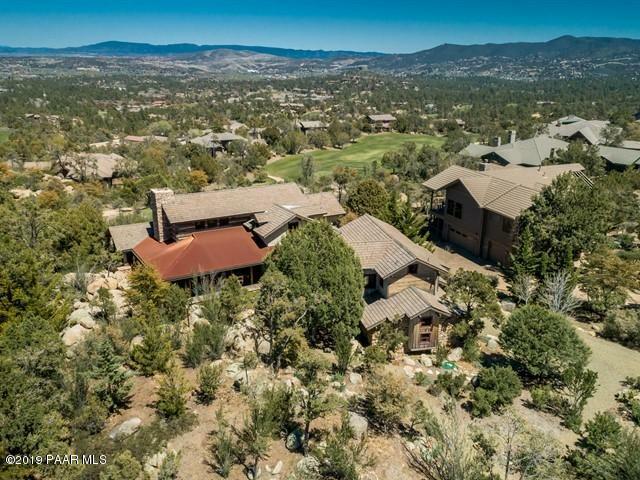 The home's highlighted features include: elevator, HEATED 4 car garage, 1 car detached garage, master on main, 360 VIEWS, huge chef's kitchen, entertainment family room/"
"This pristine country estate lies in Prescott city limits w/2.96 acres and offers everything you could want in a ranch property. This picturesque, two story brick family home welcomes the country lifestyle with white picket fencing, circular paver driveway, & mature trees. Open concept living area showcases wood floors & crown molding. Remodeled kitchen is the heart of the home w/2-tone cabinetry, granite, 6-burner wolf gas range & large island perfect for entertaining. 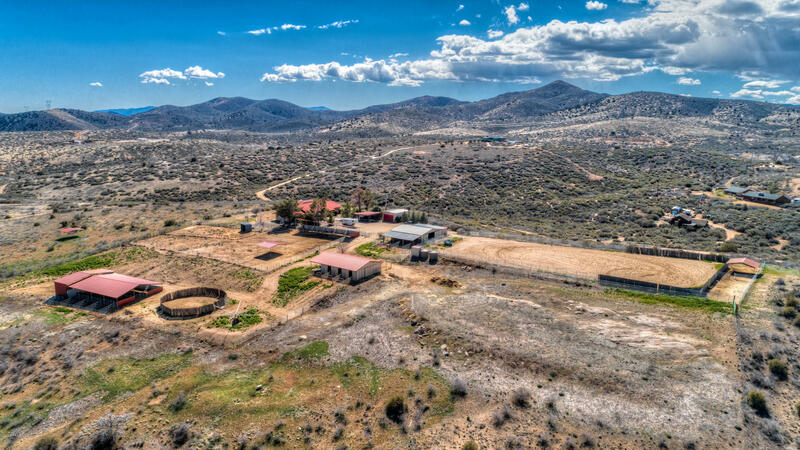 This amazing property has"
"This is a 44.5 acre private ranch conveniently located within 5 minutes of the Wickenburg Safeway, Entertainment and local Roping Arena's. 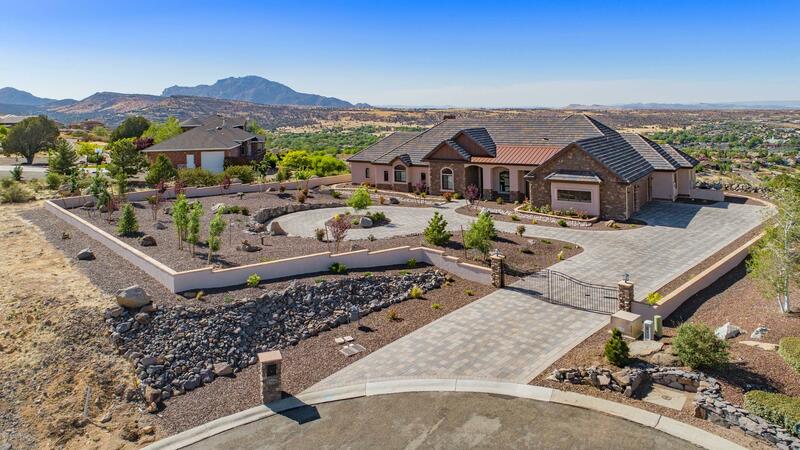 A paved road will bring you to this Unique 3361 Sq Ft 3bdrm 3.5 bath home. 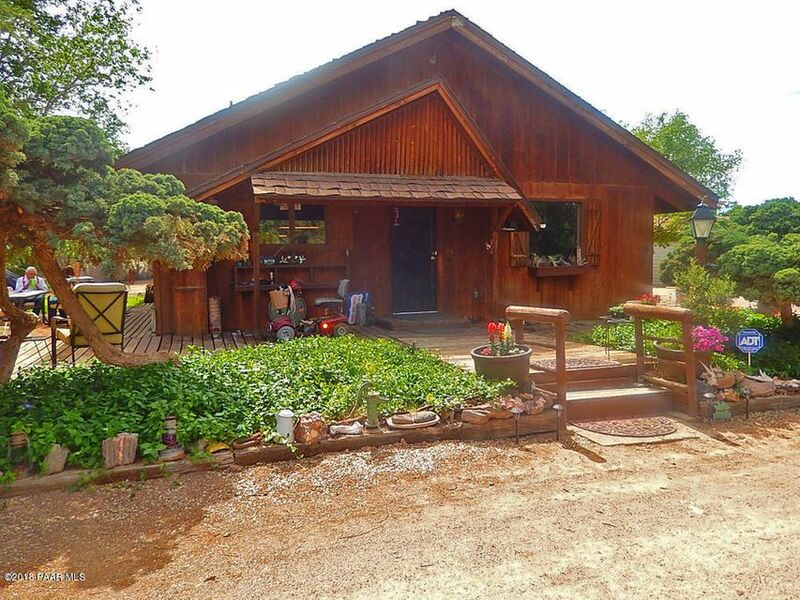 The property also includes a 1064 Sq Ft 2bdrm 2bath GUEST HOME, and horse facilities. 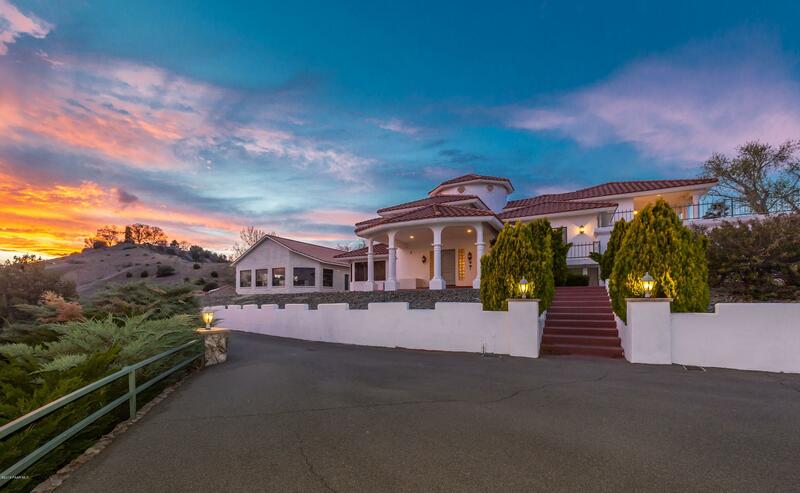 The main house is an entertainers delight with a huge patio the entire length of the home and doors going to the patio from each of the rooms. 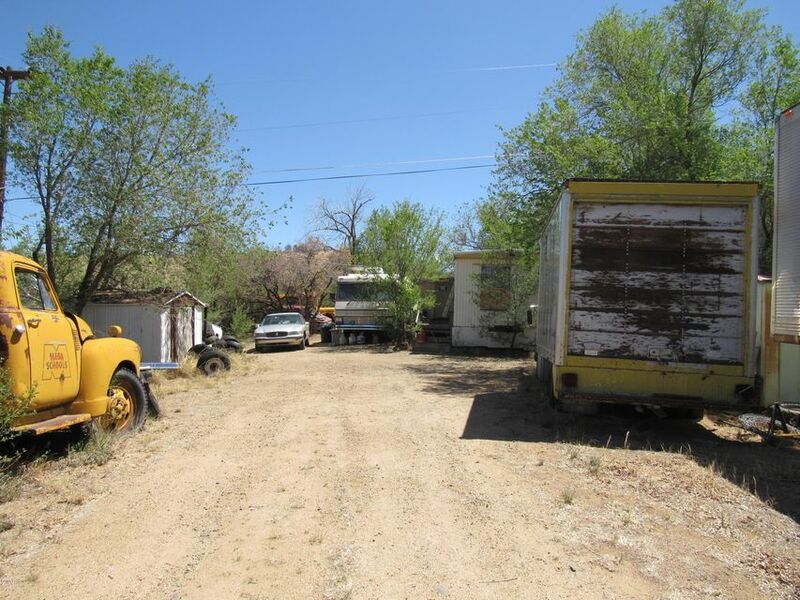 The entire property is surrounded by other large parce"